Welcome to the web home of Bob Schmidt Roofing. 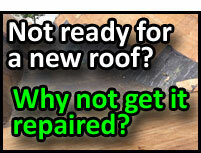 We invite you to look around and see the many ways that we aren’t your average roofing company. We’d love to hear about your project, so be sure to contact us today!